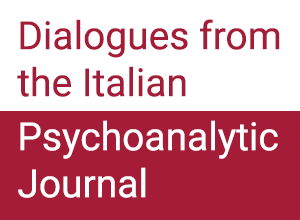 “ Psychodynamic therapy – there’s more to it than lying on a couch talking about your childhood” – Terapia psicodinamica- c’è più che sdraiarsi sul lettino a parlare della tua infanzia Alcune riviste online (“The conversation”, “EconoTimes”) stanno condividendo l’articolo divulgativo di Susan McPherson “ Psychodynamic therapy – there’s more to it than lying on a couch talking about your childhood” – Terapia psicodinamica- c’è più che sdraiarsi sul lettino a parlare della tua infanzia. 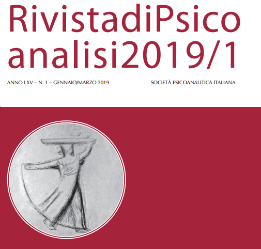 McPherson è uno dei ricercatori che ha pubblicato “Pragmatic randomized controlled trial of long-term psychoanalytic psychotherapy for treatment-resistant depression: the Tavistock Adult Depression Study (TADS)” insieme a Peter Fonagy et al. 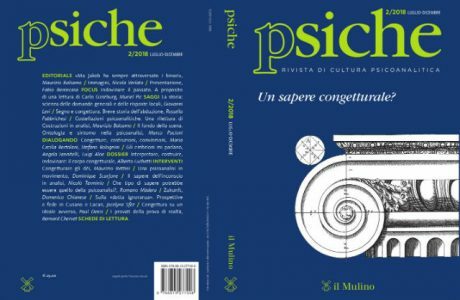 pubblicato da World Psychiatry (Volume 14, Issue 3), la ricerca che ha ribaltato l’opinione corrente “evidenced based” a favore dei trattamenti psicoanalitici nella depressione, dimostrando che essi sono più efficaci nel lungo periodo rispetto alle terapie cognitivo comportamentali. “ Psychodynamic therapy – there’s more to it than lying on a couch talking about your childhood” Some people think psychodynamic psychotherapy is mumbo jumbo. The therapy, which grew out of the Freudian school of psychoanalysis, is often portrayed as elitist, expensive, old-fashioned and ineffective. Cognitive behavioural therapy (CBT), by contrast, is portrayed as modern, evidence-based, quick and affordable. Plenty of research shows that CBT can help people with mild or moderate depression or anxiety. As a result, CBT has become a bit like paracetamol for psychological problems. However, when it comes to more deep-seated psychological problems, new research suggests that psychodynamic psychotherapy – in which the therapist and patient form a therapeutic relationship where the patient can begin to think about and understand their past and present relationships with others and consider new ways to relate to people – can be effective. Mumbo jumbo it isn’t. Since 2008, thousands of new cognitive behavioural therapists have been trained to provide treatment to hundreds of thousands of people. These services are now usually the first port of call for anyone who goes to their doctor complaining of psychological problems. There are said to be more than 500 different types of talking therapywhich might suit different people at different times for different reasons. There is an argument that having put CBT on a pedestal, patient choice is much diminished. Some services have now expanded their menu to include other quick-fix therapies. This includes a brief version of psychodynamic psychotherapy called dynamic interpersonal therapy which involves 16 one-to-one sessions to treat mood disorders, such as depression. But when people have very complex problems, they probably need a form of therapy which takes a lot longer. Psychodynamic psychotherapy is available on the NHS at the Tavistock Clinic in London where patients can be seen for a year or sometimes longer. In other areas, availability is relatively sparse and waiting lists tend to be long. The reason why this and other types of talking therapy have not been considered to work as well as CBT is because, although there has been research, it has been the wrong type of research for NICE (the agency responsible for deciding whether new drugs and treatments should be funded by the NHS). NICE prioritises research in the form of randomised controlled trials which compare how well one type of therapy works compared with a current standard treatment. However, research which compares therapies with each other or examines one type of therapy over time is not valued by NICE, even though this hierarchical approach to evaluating research has its critics both inside and outside the field of psychotherapy. The new research is the first randomised controlled trial of psychodynamic psychotherapy in the NHS (partly funded by the Tavistock Clinic Charitable Foundation) for adults with severe long-lasting depression. The 129 patients who agreed to take part in the study had already found antidepressants – and in some cases CBT – unhelpful. This type of depression is sometimes called “treatment resistant”. The patients were randomly assigned to receive psychodynamic psychotherapy or treatment-as-usual. The patients were treated for 18 months and then followed up for two years. The results showed that when therapy ended after 18 months, patients were no more likely to have improved in the treatment group than the control group. Two years later, however, significantly more people had improved in the treatment group than in the control group. Most psychotherapy research fails to follow patients for this long. A recent randomised controlled trial of CBT for treatment resistant depression also found CBT to be helpful for this type of depression. However, the CBT in this trial was unusually long (18 sessions), the depression severity was slightly lower than in the psychodynamic psychotherapy study, and patients were followed up for one year only. Because treatment resistant depression is a long-term – sometimes life-long – condition which is likely to return, longer term follow-up periods in trials are critical to understand what impact different therapies have, not just while the patient is in therapy but in the years that follow. Psychodynamic psychotherapy is not a quick fix. It can take time after therapy finishes for the patient to put into practice what they have learned, so we might expect to see patients’ lives improving gradually, after therapy ends. If psychodynamic psychotherapy leads to improvements two years after the end of therapy instead of during therapy as the results of the new study suggest, then its potential as a therapy which might deliver long lasting as opposed to transient change should be of interest to patients seeking help. A recent review which examined all relevant research on psychodynamic psychotherapy also supports the idea that this type of therapy could help people with a range of psychological difficulties including depression, anxiety and eating disorders. This does not mean psychodynamic psychotherapy should now be offered to everyone. Because it’s a longer and more complex treatment, it may never fit into the mainstream NHS model which is based on providing brief therapies for the mass market which are delivered by therapists whose training and therefore time costs much less than a psychodynamic psychotherapist. But it does mean that some of the traditional caricatures of psychodynamic psychotherapy need to be reconsidered, specially the idea that it does not work. It is important that patients are offered a real choice of therapy at the right time, particularly for people whose difficulties are long standing, complex and severe and where a quick fix approach is less likely to work and may even put people off seeking help.